The birthday of Hinduism's preferred Lord (bhagwan) Krishna is a special day for Hindus, who believe him their guide, hero, guard, thinker, educator plus supporter all rolled into one. Krishna got birth at nighttime on the ashtami or the eighth day of the Krishnapaksha or dark fortnight in the Hindu month of Shravan (August-September). This propitious day known as Janmashtami. Indian along with Western scholars have now accepted the period between 3200 and 3100 BC as the period where Lord (bhagwan) Krishna lived on earth. How can Hindus celebrate Janmashtami? The devotees of Lord (bhagwan) Krishna observe fast for the entire day and night, worshipping him and keeping vigil with the night while taking note of his tales and exploits, recite hymns (shloka) from the Gita, sing devotional songs, and chant the mantra Om namo Bhagavate Vasudevaya. Krishna's birthplace Mathura and Vrindavan celebrate this occasion with great ceremony and show. Raslilas or religious plays are performed to recreate incidents from the life of Krishna and to commemorate his love for Radha. Song and dance mark the celebration of this festive occasion throughout northern India. At midnight, the statue of infant Krishna is bathed and placed in a cradle, that is rocked, amidst the blowing of conch shells and also the ringing of bells. In the south western state of Maharashtra, people enact the god's childhood attempts to steal butter and curd from earthen pots beyond his reach. The same pot is suspended high above the ground and communities of youngsters form human pyramids to try and reach the pot and break it and this is called Dahi-handi. The town of Dwarka in Gujarat, Krishna's own land, comes alive with major celebrations as hordes of tourists flock to the town. No grains needs to be consumed during Janmashtami fasting until the fast is broken on next day after Sunrise. All rules followed during Ekadashi fasting ought to be taken throughout Janmashtami fasting also. Parana which suggests breaking the fast ought to be done at proper time. 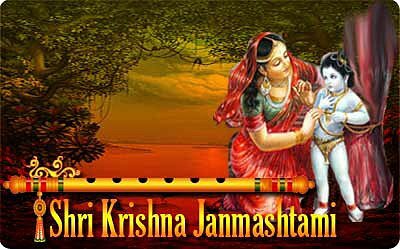 For Krishna Janmashtami fasting, Parana is completed on next day after Sunrise when Ashtami Tithi and Rohini Nakshatra are over. If Ashtami Tithi and Rohini Nakshatra aren't getting over before Sunset then fast is usually broken throughout day time when either Ashtami Tithi or Rohini Nakshatra is over. When neither Ashtami Tithi nor Rohini Nakshatra is over before Sunset or just Hindu Midnight (also referred to as Nishita Time) you need to wait to have them over before breaking the fast. According to end timing of Ashtami Tithi and Rohini Nakshatra fasting on Krishna Janmashtami might continue for two complete days. Devotees who're unable to follow two days fasting might break the fast on next day after Sunrise. It is suggested by Hindu sacred book Dharmasindhu. Angarika sankashti chaturthi is known as an propitious day in the Hindu lunar calendar. This powerful day, Ganesha devotees do pujas and observe fasts for the honored god. It's viewed as even bigger a day since it falls in the month of margashirsha. On angarika chaturthi, followers observe a day-long fast and only on having the moon, they relieve their fast. A lot of people visit temples (mandir) to worship Ganesha. The deity's favorites features like durva i.e. a grass with three blades, hibiscus flower and sweets like laddoo and modak form the usual offering. "I go to temple (mandir) on Angarika because it is propitious day. But it is believed when you worship Ganapati on this day, he ensures all of our desires are gratified, nearly all women worship him and bring vividly his positive aspects for the health of family member. 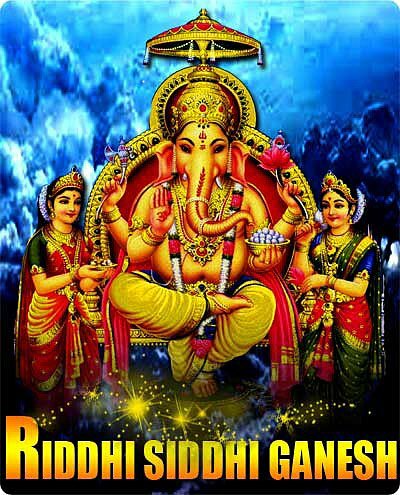 Perform any lord ganesha related puja/worship/anushthaan. Start any task on ganesha angarak chaturthi for success.